Day 73: Hour of Code! 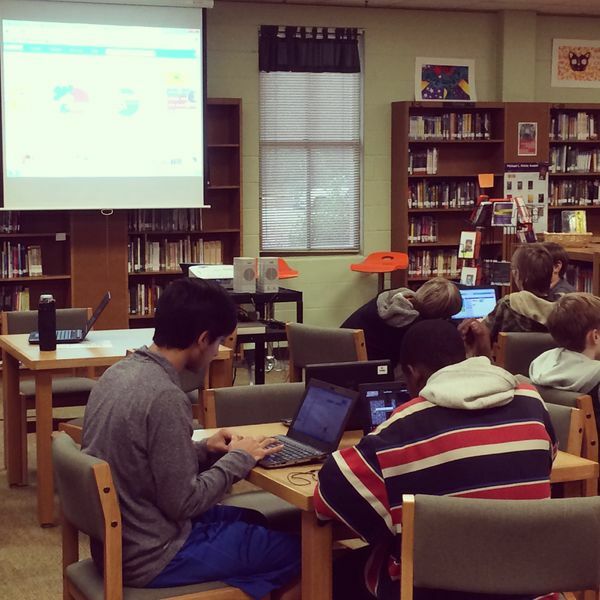 Students voluntarily participated in Murchison's Hour of Code, which is best summed up by the HourOfCode.com website as "a one-hour introduction to computer science, designed to demystify code and show that anybody can learn the basics". It was great seeing tweets from around the world of students and even President Obama participating. Coding is a powerful tool that can be learned by anyone. It's never too late to start!